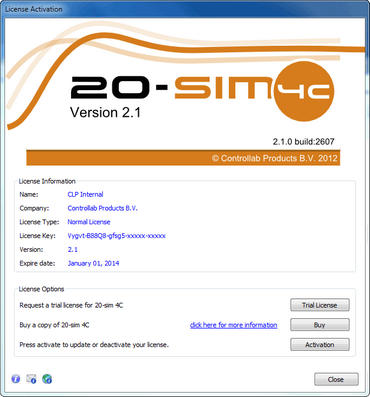 If you want to move 20-sim 4C to another computer, you have to deactivate your license, before uninstalling the program. On the new computer you can then install the program and activate the license. 2.From the Help menu choose License Activation. The License Activation dialog will open. 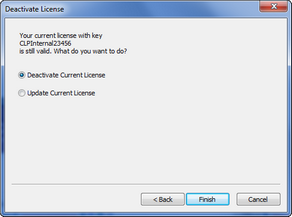 3.Click on the Activation button and then select Deactivate Current License. Click Deactivate Current License if you want to use the program on another computer. 4.Click Finish to deactivate your license. You will be asked to confirm the deactivation and have to click Deactivate.